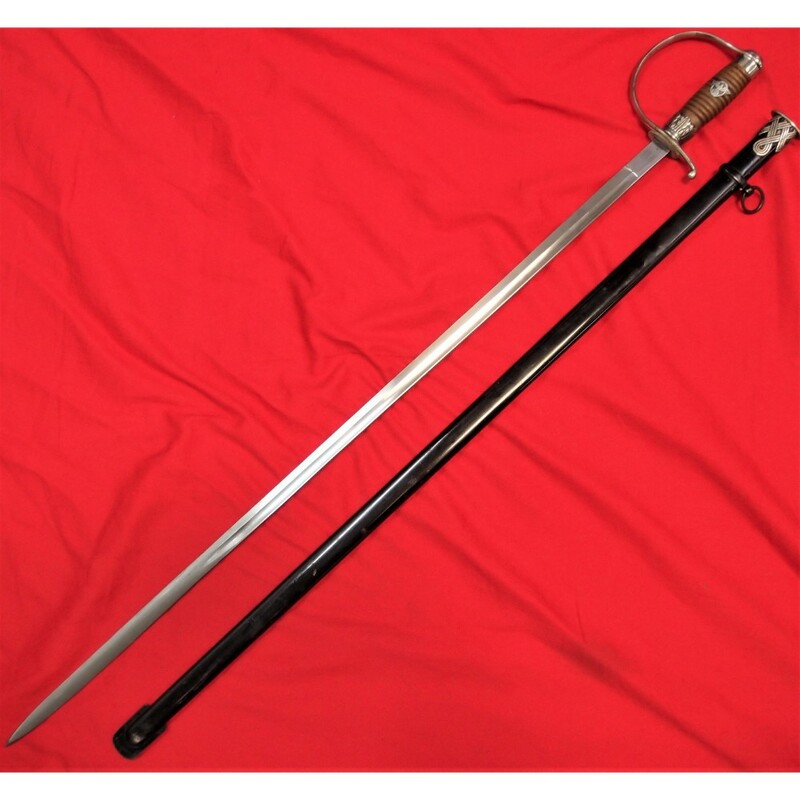 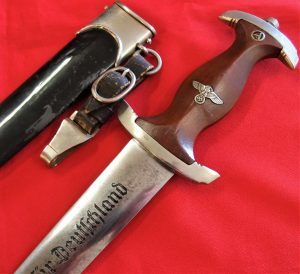 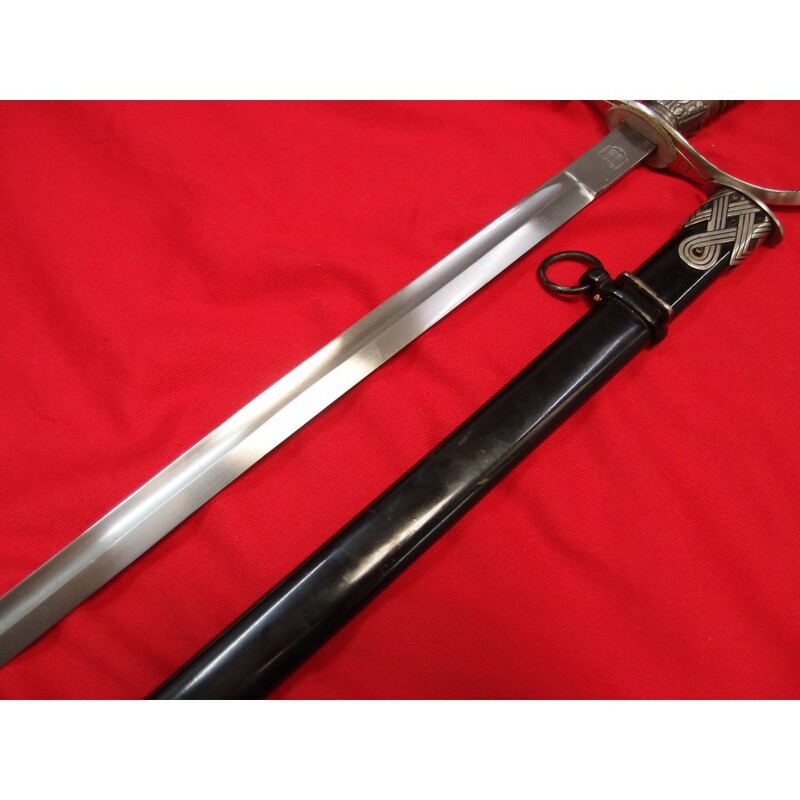 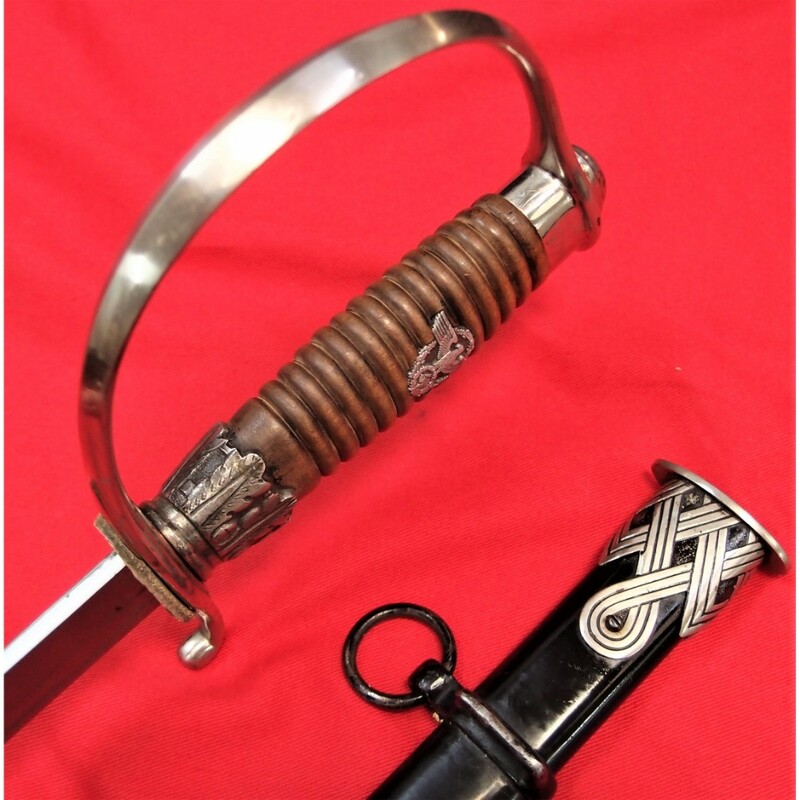 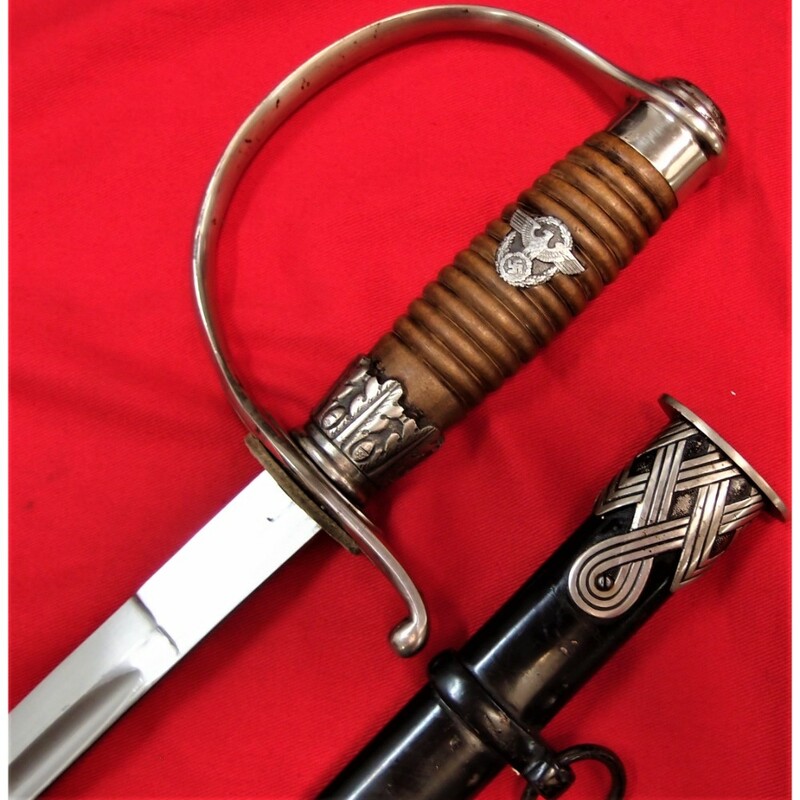 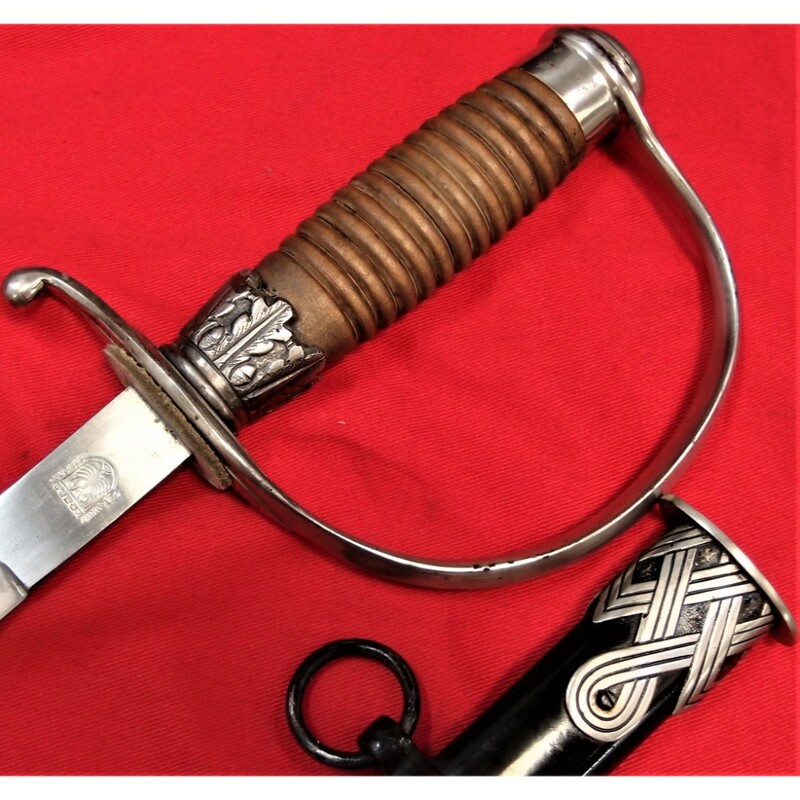 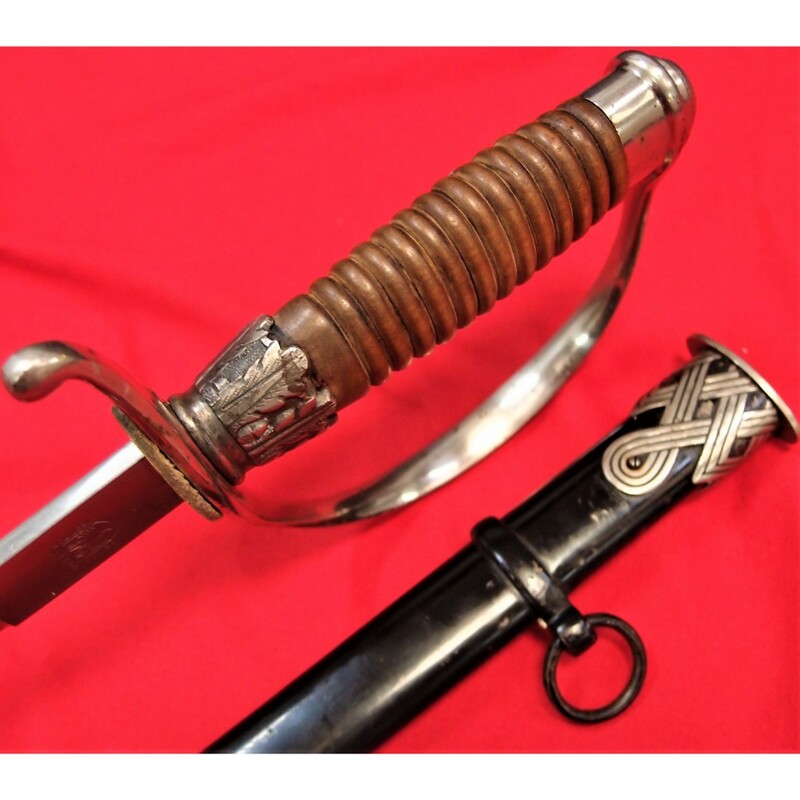 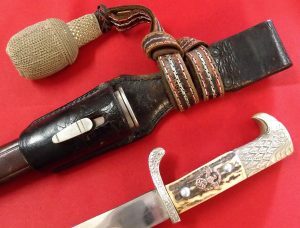 C.1935 early example Police Officer’s sword & scabbard to S.S. member by Krebs. 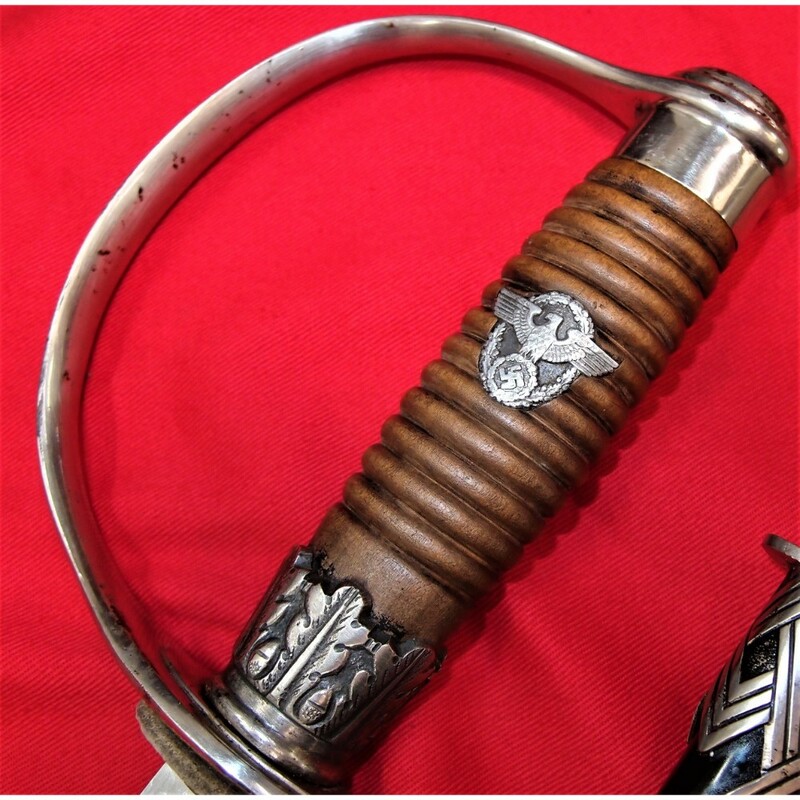 Stamped with the Kulturzeichen intertwined sigrunnen within an octagon to the lower hilt and scabbard throat mounting (indicating the owner was a full SS party member). 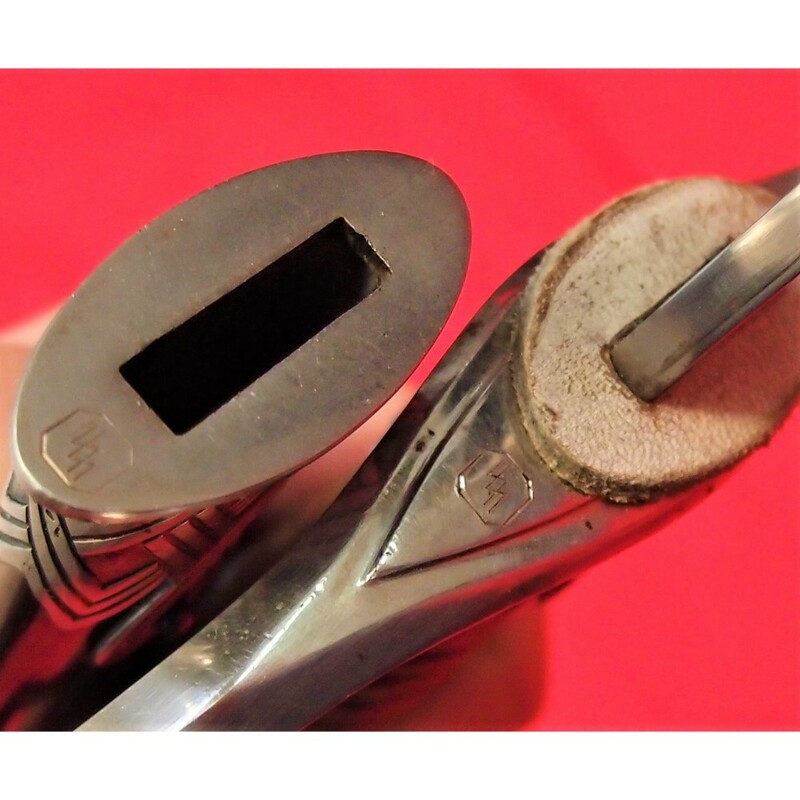 Solid nickel hilt fittings (also bearing the intertwined sigrunnen stamp) screw-type pommel, and a separate threaded stepped nut all are in good condition. 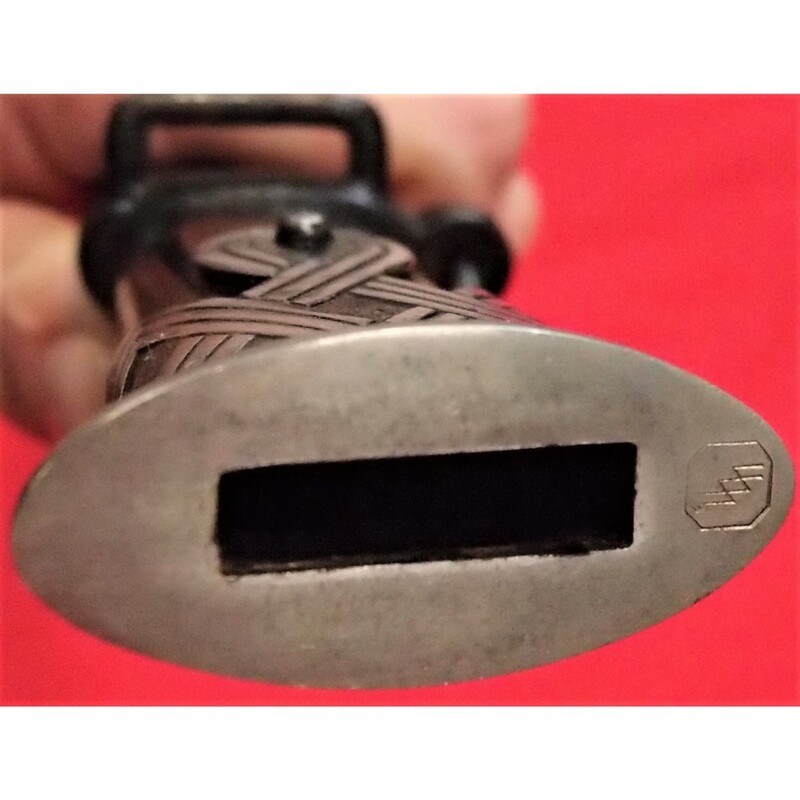 The wooden grip has been cleaned of its black finish with wire removed. 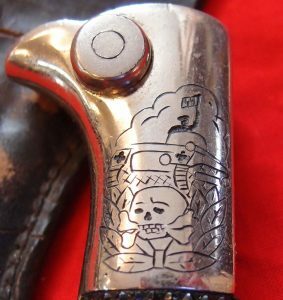 The nickel Ordnungspolizei emblem is set flush and firmly in place. 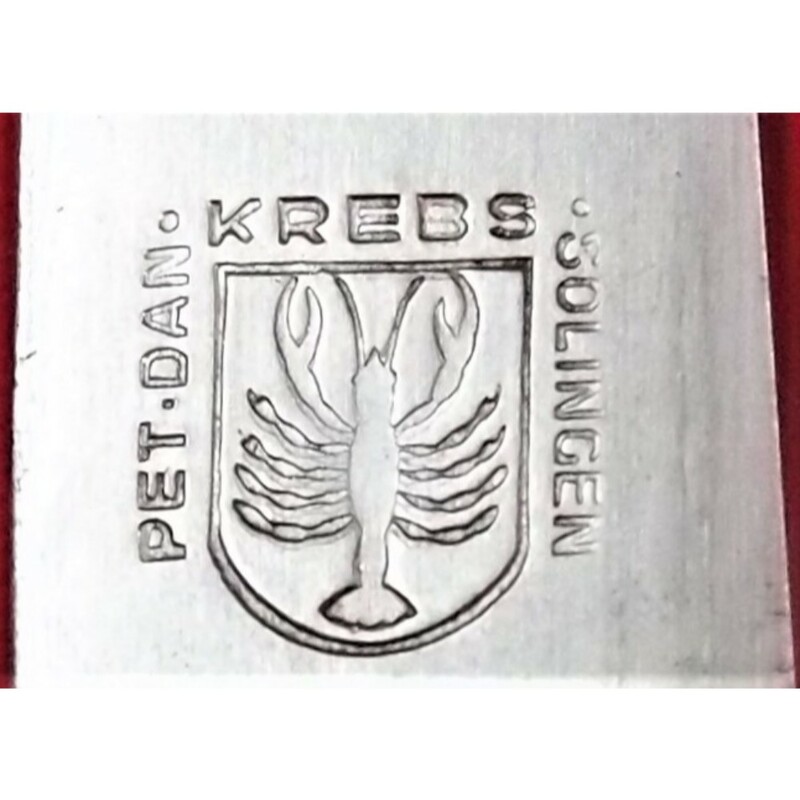 The 79 cm blade is in very good condition and correctly maker marked to Peter Daniel Krebs, Solingen. 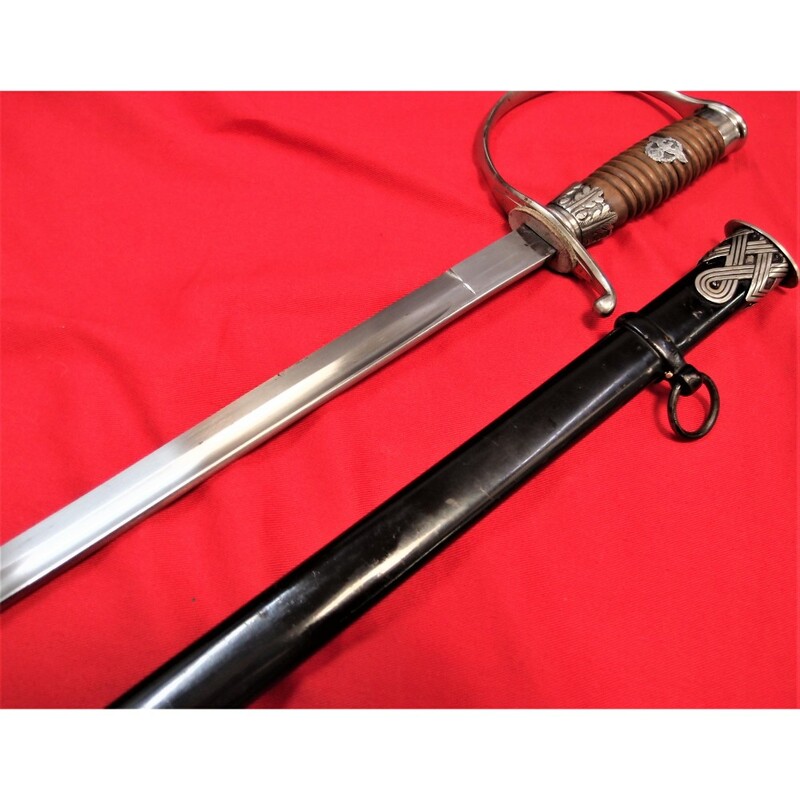 The scabbard retains most of its original black finish, the solid nickel upper and lower fittings are in good condition and firmly in place. 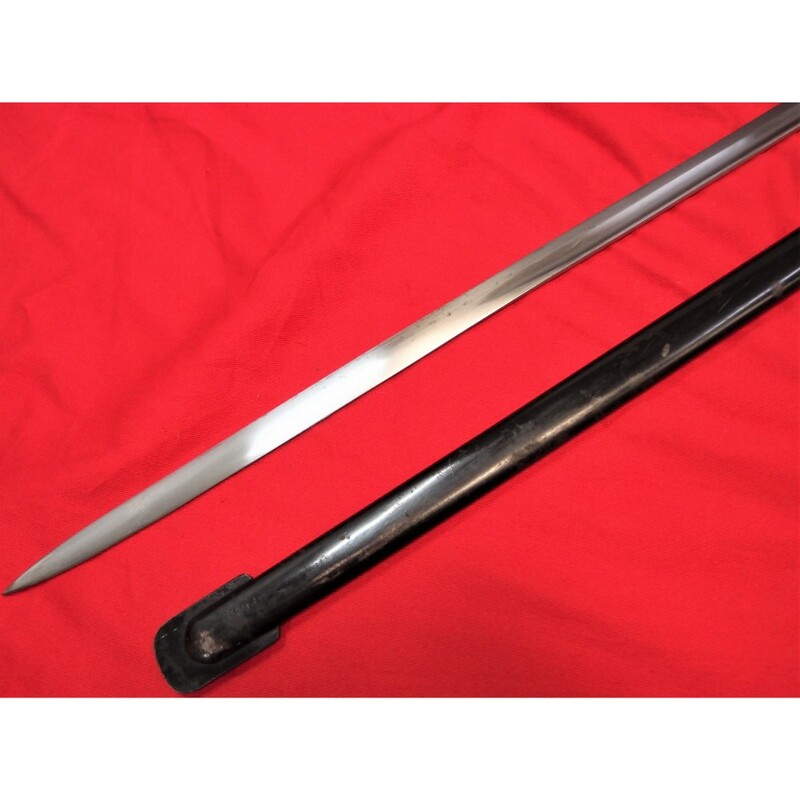 The drag shows expected service wear and the main body of the scabbard is dent and damage free, with the sword drawing and re-sheathing with no resistance. 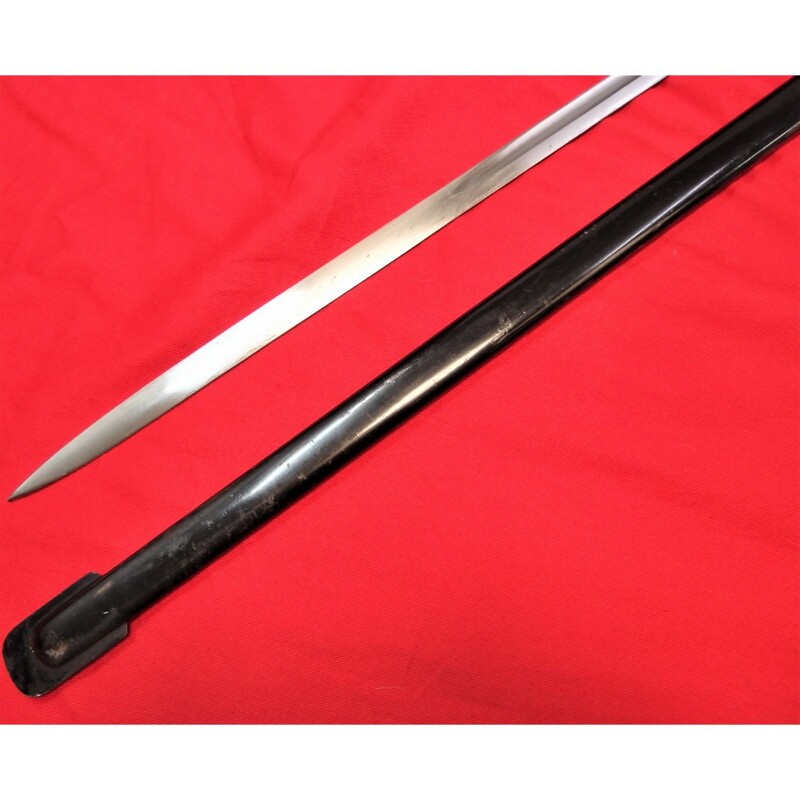 Overall length: 96 cm. Scarce.